Tulips are perennial bulb flowers which naturally bloom in the spring. They feature bright green leaves and a singlestalk which is topped by either a cup or star-shaped flower with three petals and three sepals. They come in a wide range of colors and shapes. ORIGIN: Tulips grow in a range of locations, although it is believed Tulips were first cultivated beginning in the 10th century in Persia before being introduced to Western Europe in the mid 1500s. 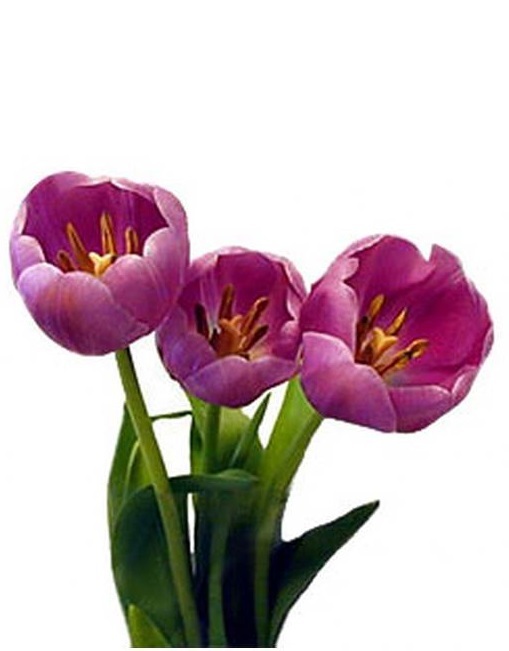 AVAILABILITY: Tulips are often thought of as a Spring flower, but can be offered all year long.